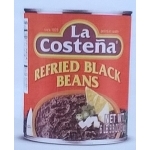 La Costena Mexican Refried Black Beans 3kg. 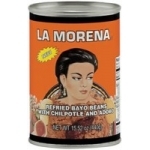 La Morena Refried Bayo Beans with Chipotle and Adobo. 440gm. 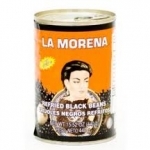 La Morena Refried Black Beans. 440gm. 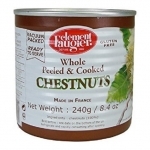 Equagold Tonka Beans 15gm. 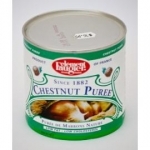 or 100gm.